Disney Junior Canada/Lego Duplo Magic of Play Cross-Country Tour! Disney Junior Canada/Lego Duplo Magic of Play Tour Runs Until April 13th, 2014! 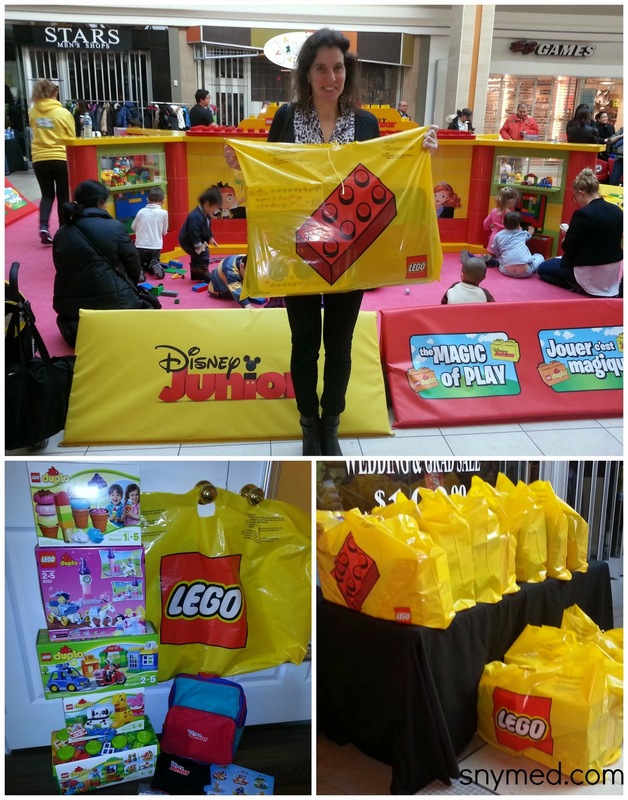 Disney Junior Canada and Lego Duplo are offering a fun and exciting event for kids at select malls across Canada! It's on right now, and called the "Magic of Play" cross-country tour! "Disney Junior and LEGO® DUPLO® are hitting the road together with fun filled, FREE indoor events in 5 cities! Build and discover the many ways to play with LEGO® DUPLO® bricks while you watch and enjoy your favourite Disney Junior shows! Plus take home a special Magic of Play activity booklet! It’s all totally free, but get there early so you don’t miss out on the fun." All events will follow each malls’ hours for the entire day! 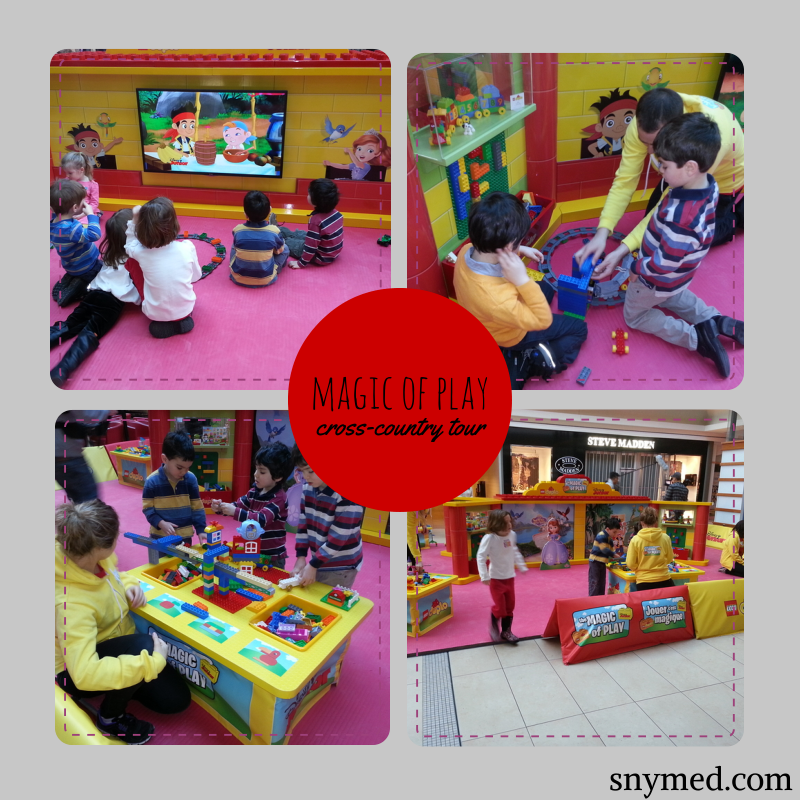 The Magic of Play Tour Is Visiting These Malls! Early this month, the tour stopped in Montreal, and my kids and I caught it in Toronto this weekend! The tour will continue on in Surrey (March 15 & 16), Vancouver (March 22 & 23), Calgary (March 29 & 30), Alberta (April 5 & 6), and in Markham (April 12 & 13). See Tour Schedule and details HERE. My kids had such a great time visiting the Disney Junior Canada/Lego Duplo Magic of Play event in Toronto! They spent hours playing with Lego bricks and building magnificent structures like cranes, bridges and vehicles. I liked that there were many staff members on site to guide the children in their play. There was also plenty of Lego to go around, as the kids enjoyed watching Disney Junior shows like Sheriff Callie's Wild West, Jake and the Never Land Pirates, Mickey Mouse Clubhouse, and Sofia the First. 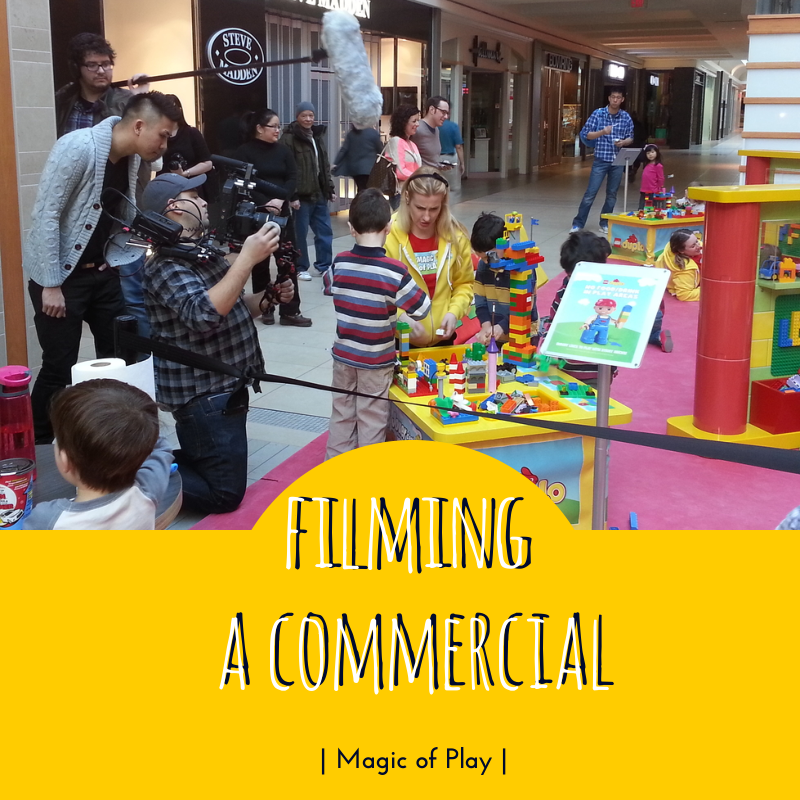 The kids even had a chance to participate in a Magic of Play commercial that will appear on Disney Junior Canada! I'm not sure how much of their footage will be used, but I'll be sure to publicize it once the commercial is finished. The kids were playing so intently, they barely noticed the camera crew! As a thank you to my kids for attending this event, my kids received this very generous swag bag from Disney Junior Canada and Lego Duplo! Note: these loot bags are NOT being given out at the Magic of Play event. I know that the kids will have a great time building with these fun Lego sets! 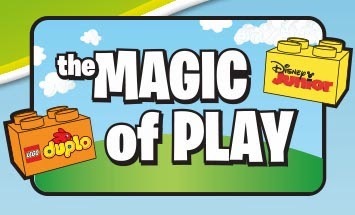 Is the Disney Junior Canada/Lego Duplo Magic of Play tour coming to a mall near you? Do your little ones enjoy playing with Lego or Lego Duplo--or watching Disney Junior shows and movies? Awesome, it's coming to our city! And the mall is close to my house, bonus! my son (13) is a lego maniac he could play with them all day and night.. We want to go to legoland in CA but the trip is very expensive..
Oh, what fun! Looks like everyone had a blast! Love the new look of your blog, by the way!! What a great idea. We're big fans of both Disney Junior and Lego Duplo. My boys would just flip to check this out. Thanks for letting us know about it. That does look like a fun place to visit. I love Duplos too, they're nice and chunky and easy to put together, pull apart, and clean! Disney and Lego are 2 of my kids favourite childhood things. Mine too! Looks like so much fun! I see one in my city! Yay! What a fun event! My daughter would love that. We love both of those brands. What an awesome event! It's too bad we're not in Canada, my daughter would have loved this! Duplos and Disney Junior are two of my kids favorite things! How fun! I wish places like this were closer to where we live. How fun is that! Legos are amazing and it seems all kids love them. Hope to see that near CO soon! Wow!! What a great day!! Can't wait to see the video. Wow I wish they did that near me. My daughter loves their duplo blocks. That looks so cool! I wish something like this would come near us. I remember loving Duplos for the kids! This looks like a fun event to have attended! Wow this sounds, and looks like it was such a fantastic experience for both you and the kids. I'm sad to see that Winnipeg isn't on the tour list, but I'll keep my fingers crossed for next time! I think my daughter would have so much fun. We live in a very small town so they will not be near us but we would definitely travel to see this. How fun! That is one amazing swag bag! Legos are great toys, even though they torture parents at night. This is awesome! I wish they had an event like that near me! This looks like so much fun! I used to love planning with legos and would have loved this!